It's been raining a lot in my neck of the woods. A lot. I know that's not much comfort to those of you still experiencing winter. Either way, sometimes it's a good time to stay inside and read. We have author David L Wallace here today to talk about his new offering, PREORDAINED. DLW: I’ll tell you about his backstory - who Art Somers is before the start of page one of Preordained. Art’s a former Navy SEAL and newly promoted detective in Murrell’s Inlet, SC. When he was nine years old, home invaders killed his parents and his sister, leaving Satanic symbols written on the walls with his slain family’s blood. Authorities never solved the case and he has no conscious memory of what happened. His maternal grandmother Sarah raised him in an area steeped in spiritual and supernatural belief systems, things he doesn’t believe in. He doesn’t believe in God or the Devil because it’s hard for him to fathom a spiritual being would’ve allowed the slaughter of his family. He became both a SEAL and a cop, motivated to right injustices in the world. He’s in a custody battle with his ex-wife Judith over their twelve-year-old son Benjamin. 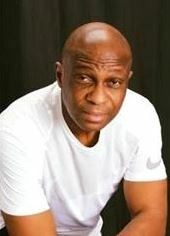 He’s also in a relationship with his detective partner, Angela Hunter. Just before the start of page one, a serial killer prepares to make his presence known on the world stage within the county in which Art lives and operates. SC: Speaking of spiritual and supernatural belief systems, do you believe in the paranormal and if so, do you have an experience you can share? DLW: I’ve never personally given any credence to the paranormal, but I have close family members, friends and associates who believe with everything in them that supernatural events occur. I grew up in the setting of Preordained and it’s an area riddled with such beliefs. The one experience I did have occurred late one night while I was developing this story. I’d fallen asleep on my family room couch and awoke in the middle of the night. Just before becoming fully awake, through groggy eyes, I saw a woman in a white negligee walk across my family room floor and enter one of my empty bedrooms. It startled me for a moment. I figured it was the tail end of a dream I couldn’t remember. I’d never experienced such a thing before, so I got up and checked the bedroom and found no there. I haven’t given it any more thought until you asked me this question. SC: Who knows? That may have been your first apparition sighting. What titles are you working on now that you can tell us about? 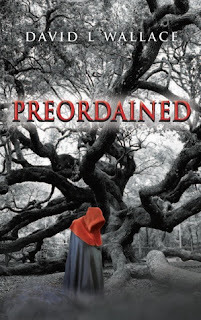 DLW: Preordained is the first book in a new series. I’m currently working on an outline for book II. I’ve also written the first book of two other series, Trojan (2016) and Ralphy the Rabbit (2017), and from time to time I work on an aspect of those sequels. Right now, my focus is to write and publish Preordained II. SC: Thanks for stopping by to chat. Let's take a look at your novel now. The Star of David killer watched the boy make his evening trek on pigeon-toed feet that turned inward with each step. Ever since the infant pigs were born, the boy fed the adult male hog an extra feeding at night to prevent him from dining on his offspring. That’s right, the daddy hog ate his own children. What a disgusting breed of animal. spent many nights there while they slept, enjoying their scents, with his favorites being the individual smell of each of their worn clothing. The laundry room was a treasure trove of delights. Each of the family members left their own unique and enjoyable stains in their underwear. He’d gotten to know the other families in just as much detail, meticulously taking in their routines and schedules, getting to know every nuance of each of them. He could’ve easily used gloves, but he wanted to touch them, to feel his prey with his bare hands. He blew on the glue until it dried. Satisfied, he stood, stretched his legs, and approached Rueben’s home on silent feet. Thanks a million for taking part in my book tour. No problem. Come back anytime.